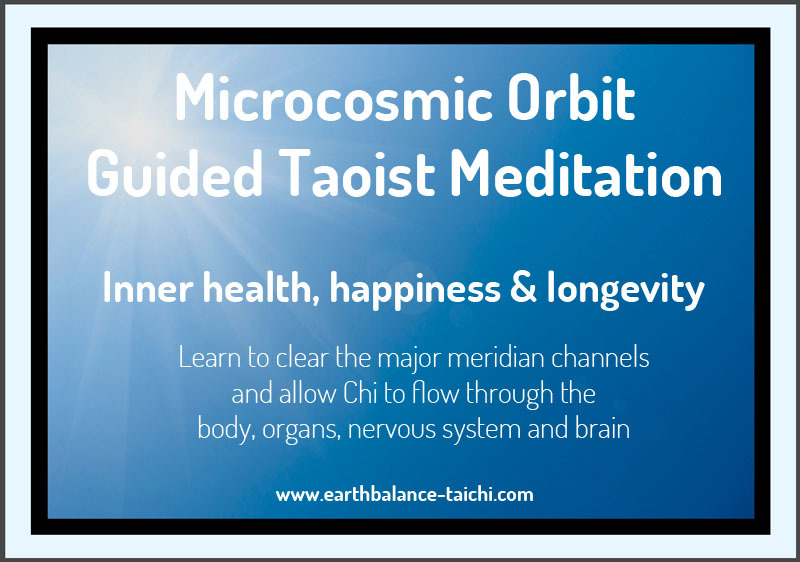 Detailed below is one complete cycle of the Taoist meditation of the Microcosmic Orbit. There are a number of preparation exercises to complete prior to this stage, to reach one complete circuit can take a long time. You can use the inner smile as a preparatory exercise. Move the focus starting from the navel into each energy centre. Allow the energy to awaken before moving to the next. Aim to progress towards a complete and automatic circuit of the microcosmic orbit. Use the tongue to touch the top of the palate as the connector of the circuit, allowing free flow of Chi through the body. Conclude by sinking energy to the Dantian. Collect in navel and circulate from 3 to 36 times in opposing directions for male and females.